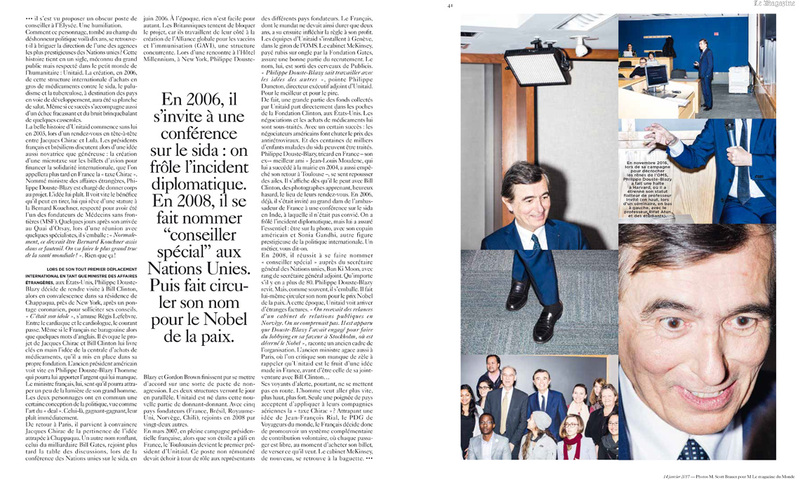 A couple months ago I had a fascinating opportunity to follow around French politician Philippe Douste-Blazy as he campaigned around Harvard University's School of Public Health in a bid (ultimately unsuccessful) to become the World Health Organization's Director-General for an assignment for M, the weekend magazine of the French newspaper Le Monde. It was a quick succession of one meeting after another in sterile classroom settings. I was thankful for instructions from my editor Laurence to use the technique I've been working on in my project on American politics, This is the worst party I've ever been to., as a way of cutting past the surface level of a politician politicking, albeit in a much different arena than I'm used to. Douste-Blazy has been, at various times: a member of European parliament; the French Minister of Health; the French Minister of Culture; mayor of Toulouse, France, French Minister of Foreign Affairs, Under-Secretary-General, Special Adviser on innovative Financing for Development in the United Nations; and chairman of UNITAID. While this campaign at Harvard was on a much smaller scale than either he or I have seen before, the glad-handing and speechifying was very familiar territory. 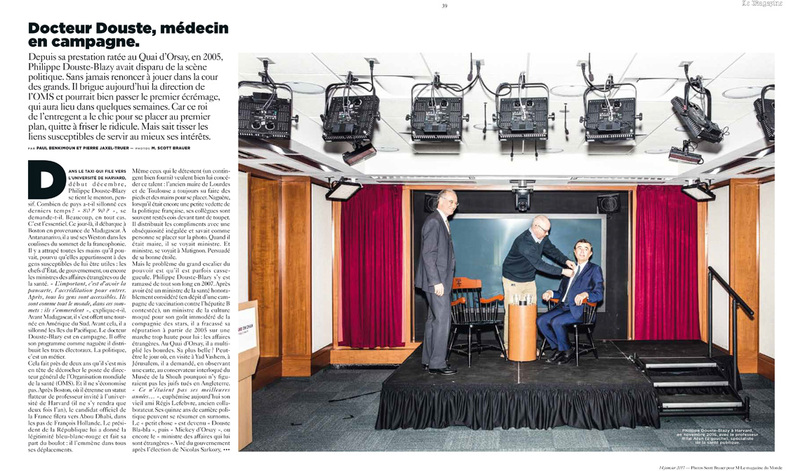 You can see the two spreads above, published in the 14 January 2017, issue of the magazine, or, if you read French, can check out the article online. I haven't seen the print edition of the magazine yet, but I'm told I was listed up front in the "contributor" section, as well. Thanks to Laurence and the rest of the team at Le Monde for letting me do my thing on this story.